Event or meeting venue selection can make or break your event. It’s the heart of the experience being created for guests and attendees. 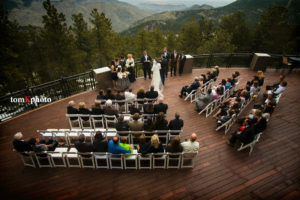 No matter if you are planning a wedding or corporate meeting in Colorado, there’s much to think about when visiting a venue for an initial site visit. Asking questions and discussing layout, format, emergency and contingency plans, etc. helps ward off a potential nightmare the date of the event. Here are some ways to make the most of a Colorado group venue site visit. As you drive up to a venue, is the outside the same as the pictures you saw online? Is there enough parking? Is there an easy flow for vehicles to get in and out, especially for large transportation such as buses and vans? Does it accommodate for wheelchair access? If using outside vendors will they be able to load and unload easily? Take notice of this, and then bring up any concerns with your on-site contact. 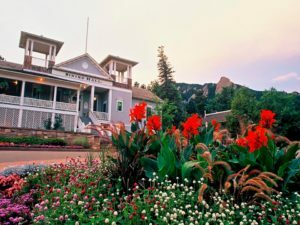 Beautiful gardens outside the dining hall at Colorado Chautauqua Association in Boulder. Courtesy Colorado Chautauqua Association. A site visit allows you to meet the on-site manager and venue team you will be working closely with. This is the chance to really gauge how you will work together. How you and the venue’s team interact with one another during this initial visit really sets the stage for how the relationship will be when working toward the date of the event. Once inside and touring, notice if the inside of the venue is the same as the online images. If renovations have recently happened or are in process, this is the time to discuss. Find out what changes happened and the timeframe for current and future renovations that may impact your event. Another important agenda item is reviewing the venue’s emergency exits and evacuation plans—this is imperative for any event. 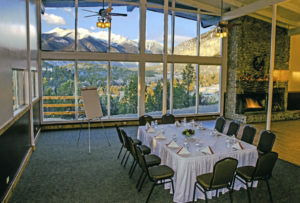 One of the many indoor meeting and event spaces at Mount Princeton Hot Springs Resort near Buena Vista. Courtesy Mount Princeton Hot Springs Resort. This is also an appropriate time to make sure the meeting room(s) occupancy meets your preferred seating format. Occupancy numbers are based on the maximum number of people in a room at one time, but that number goes down depending on seating style. It may be 300 people with cocktail tables, but only 200 with large banquet rounds for 10. 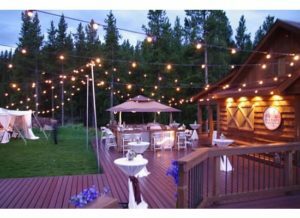 An outdoor patio at Mount Vernon Country Club in Golden provides beautiful vistas for small weddings. Courtesy Mount Vernon Country Club. If the venue has sleeping accommodations and your event requires a hotel room block, staying a night as the hotel’s guest is highly recommended to really get an idea of how event attendees will experience the entire venue. If the majority of your guests will be in a standard room/run of the house, stay in that type of room. 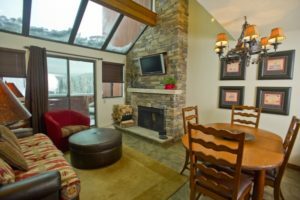 One of the many condominiums at Beaver Run Resort and Conference Center in Breckenridge. Courtesy Beaver Run. Take note of the amenities in the room and throughout the hotel, access to meeting and event spaces, and anything else at the hotel that will ensure attendees are comfortable during their stay. Also, try the food by experiencing the on-site restaurant(s) for breakfast, lunch and/or dinner. Get a workout in so you can check out the health club, and if there’s a spa that attendees may be able to enjoy, ask for a tour or a short session so you can see what relaxation options are available. 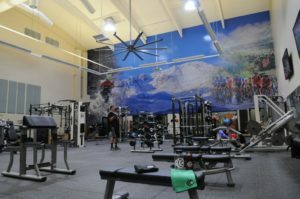 The fitness center at Cheyenne Mountain, Colorado Springs, A Dolce Resort. Courtesy Cheyenne Mountain. Lastly, meet with the audio-visual people. Discuss the options and plans for the event. This should be a collaborative discussion. Just like a venue, A/V can make or break an event. If you’re bringing in entertainment such as a local DJ or band, a Colorado-based Native American dance group or an emcee or keynote speaker, A/V is there to make your event sound and look spectacular so make sure to discuss the plans. There are many things to think about when visiting a venue, no matter the type of event. If all the basic needs are being met, it’s the feeling and creative vision that make a difference. There are many venue options to choose from in Colorado from ranches and convention centers to hotels and small breweries that can help with both. There’s a venue for every event or meeting space need! Uley’s Cabin located mid-mountain in Mt. Crested Butte is a beautiful indoor/outdoor venue in summer and fall. Courtesy Crested Butte Mountain Resort. Kim Schmitz is the CEO/President of Spin Event Management, a full-service corporate event management and marketing firm based in Parker. She has planned meetings and events across the country and enjoys living in Colorado.